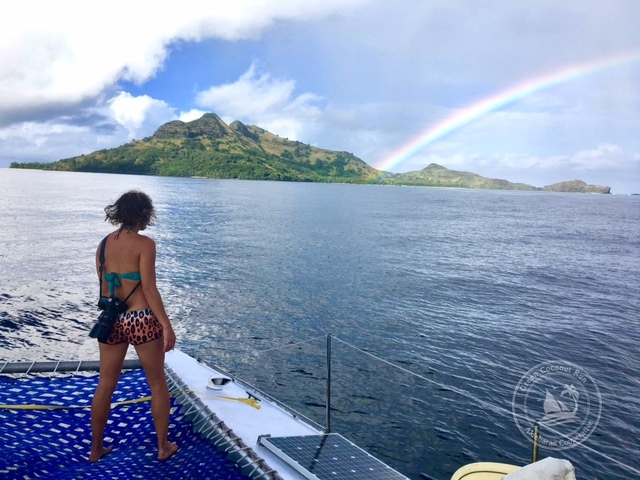 While the “fleet” of sailboats was weathering the north wind in Rikitea, in between the drizzle and rainstorms, we were hoping to go surf. “The wind is calm tomorrow, do you want to try to get waves?” Asked Marieh from Silverland, the 1957 Brig. 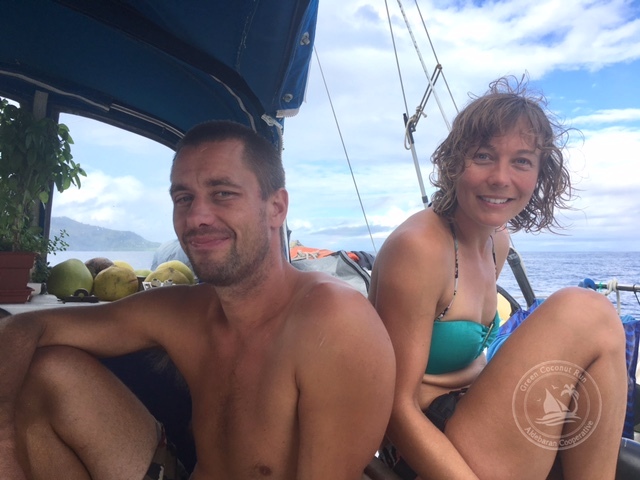 “We’d love to come too!” Said Camila and Helge, from the Norwegian boat. They have been “stuck” without surf as their captains don’t like to anchor near waves, so they jumped on the opportunity. We did two trips to the southern Islands in Gambier, which get some exposure to swell. The waves a bit poor. but some long rides were had and it was fun being in the water. Each time we navigated the hour long trip through plenty of rain and sun. This is one advantage of the finnicky weather here in Gambier: there are a lot of rainbows!